Good news! We are pleased to announce that Retro Computing News (RCN) will be officially reactivated in January 2017 – and we’ll be ramping up our coverage over the next twelve months, so watch this space for some of our best work yet! Editor and publisher Stuart Williams put the magazine site into effective hibernation earlier this year due to personal and family health issues and resulting time constraints, but now plans to kick-start RCN back into action after the festive apocalypse is over. Stuart said “After a pretty rough year, I’m finally getting into a position to be able to devote the time that Retro Computing News deserves once more, and just as soon as I’ve loaded up the minigun with sprouts and terminated a turkey or two I’ll be back behind the controls again. 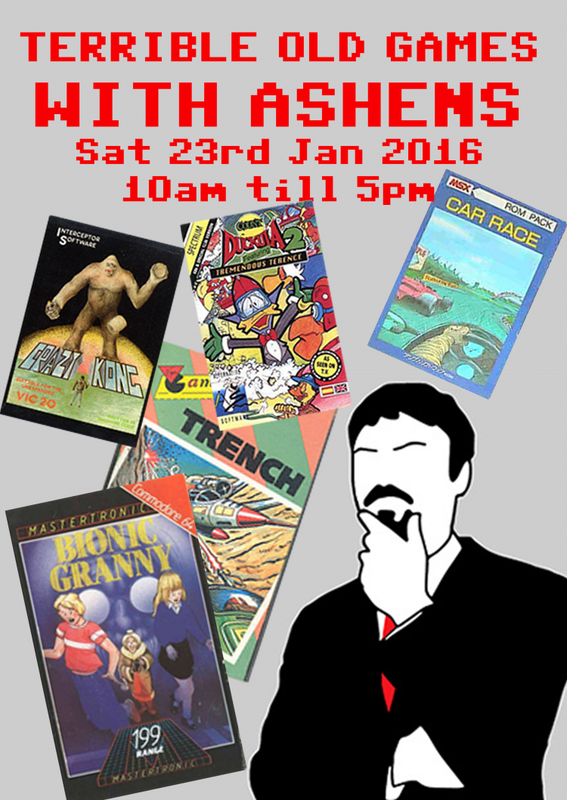 For the second year running, Retro Computing News will be attending the Recursion computer fair on Saturday 2 July 2016 in Stratford-upon-Avon, England. 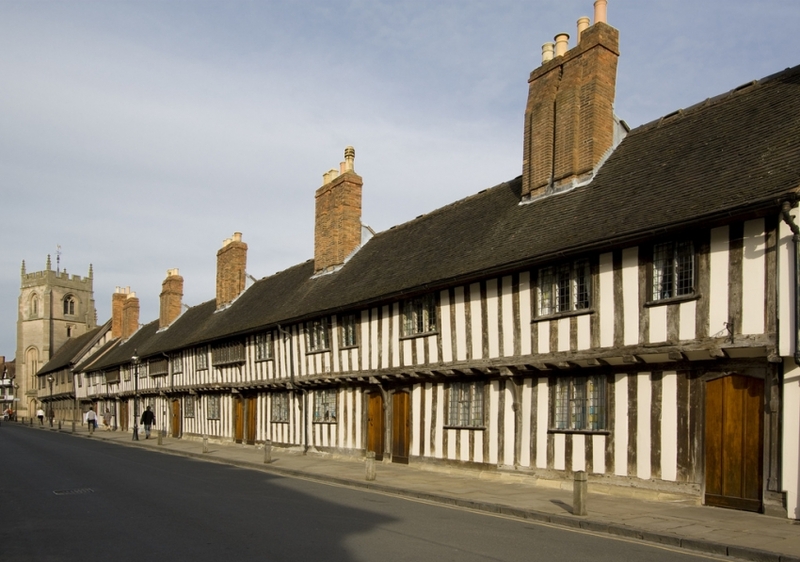 But this time around, we’ll be an exhibitor – at William Shakespeare’s very own school! We’ve been invited along by the event organisers at the historic King Edward Vi School, where the legendary English playwright was educated, and will have a table in the ‘history of computing’ section (see below) of this fantastic, free and fun-packed digital day out dedicated to computer science and computing in education, industry and leisure. Last year, over 500 students, parents and members of the public visited the fair in the Levi Fox Hall of the school, and the organisers are looking to expand the range of exhibits and activities further this year. There will be stands from local businesses, universities and other schools. A number of stands and activities will make use of small-board computers such as the Raspberry Pi, Micro:Bit and Arduino. In addition, the fair will offer a community-led ‘history of computing’ section, where local user groups and aficionados of “classic” and “retro” computing can get together and share their passion for everything from a ZX80 to an Amiga 1200. Those attending Recursion 2015 were rewarded with a buzzing, vibrant and diverse event for computer fans of all interests, not only gaming, with a great retro component. This year’s fair, which opens at 11am, promises to be an equally exciting event and one that should both promote and celebrate the industry and enthuse the next generation of British Computer Scientists and Engineers. Recursion is a show of a kind which has been rarely seen since the 1990s, and we’re only too delighted to give it our full support! 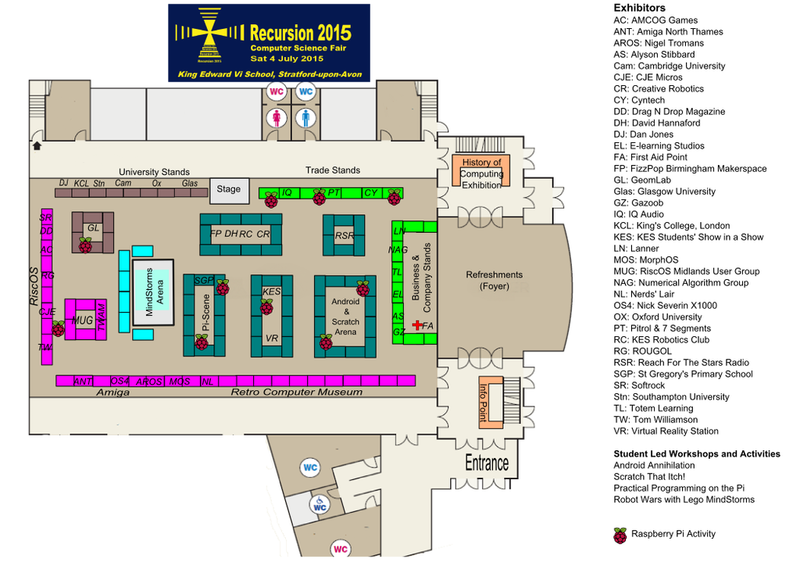 Retro Computing News’s editor and publisher, Stuart Williams, will be setting out our stall at Recursion 2016, and will be there to talk to any and everyone about our magazine site and retro computing in general, as well as covering the event for RCN. As we receive more detailed information about this year’s fair, we’ll pass it on in these pages, meanwhile, why not check out our feature on Recursion 2015 to get an idea of what you can look forward to? 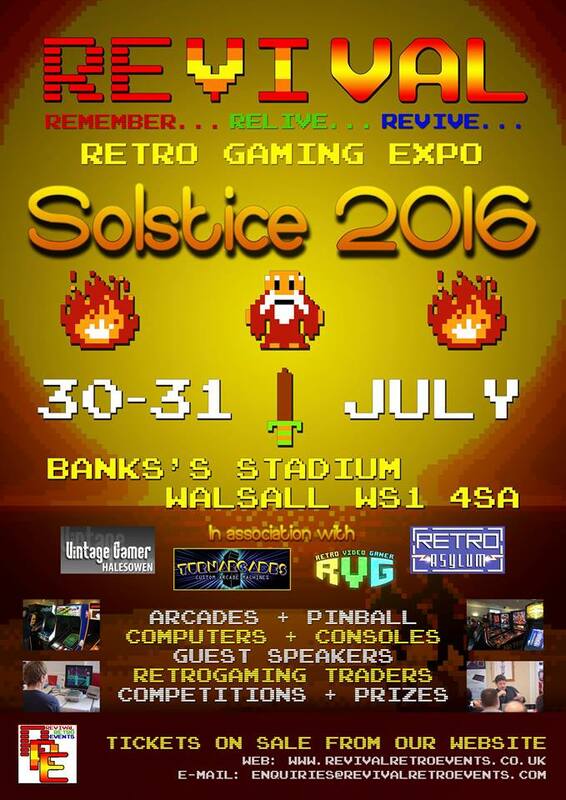 We’re delighted to confirm that Retro Computing News is sponsoring the upcoming REVIVAL Solstice 2016 retro gaming, retro computing and arcade show in Walsall, England! Taking place over 30-31 July 2016, the event sees REVIVAL back at its big event best, with a huge range of gaming and computing plus dealers, competitions and special guest talks. Moreover this year, the big show, previously held at Wolverhampton Racecourse, is moving to Bescot Stadium, aka Banks’s Stadium, the home of Walsall Football Club, which is easily accessible by road and by railway, with its own station nearby! We’ll also be covering the event, and taking a table there so our editor and publisher Stuart Williams can chat to anyone who’d like to know more about our online magazine and maybe give us their own news for possible publication! More good news for anyone attending is that we’re sponsoring this fantastic event by providing a classic Sinclair ZX Spectrum +3 home games computer as a prize for one of the many retrogaming competitions that will be taking place over the weekend! REVIVAL is the largest and best true dedicated retrogaming event in the UK, and their return to large scale is definitely the one you won’t want to miss! Arcade days all over again at REVIVAL 2014! REVIVAL are about to start full public advertising and will also be announcing their confirmed guests in the coming weeks, so be sure to grab your tickets and book the best hotels NOW before they all go! It’s going to be an amazing weekend with the much-loved REVIVAL atmosphere, so make sure you get along to this one! For further info, visit the REVIVAL website and to keep up with the latest announcements, why not Like their Facebook page, as well as the show’s dedicated Facebook event page now! I thought I’d just make a quick post to let all our readers know that I’ve been looking at how Retro Computing News (RCN) can move onward and upward now we’ve hit the first few days of 2016. Museum Micro-Scope – we’re going to do more in-depth features on museums and other places of interest to retro computing fans. And we’ll get around to visiting as many UK establishments as we can in 2016! Look for a first quarter feature on the Retro Computer Museum in Leicester to begin with, all being well. NewsBytes – short snippets of timely news as we come across them. This is already supported by our Facebook and Twitter feeds, but we’ll be on the look out for more news in brief that won’t take so long to hit the pages of RCN. NewsBytes will also include more coverage of interest to gamers! Retro Rewind – features on past hardware including computers and accessories. Comms Capers – a look back at the ‘good old days’ of communications before public access to the internet, including Bulletin Boards and Prestel – plus a look forward to where you can still find BBS’s online today. 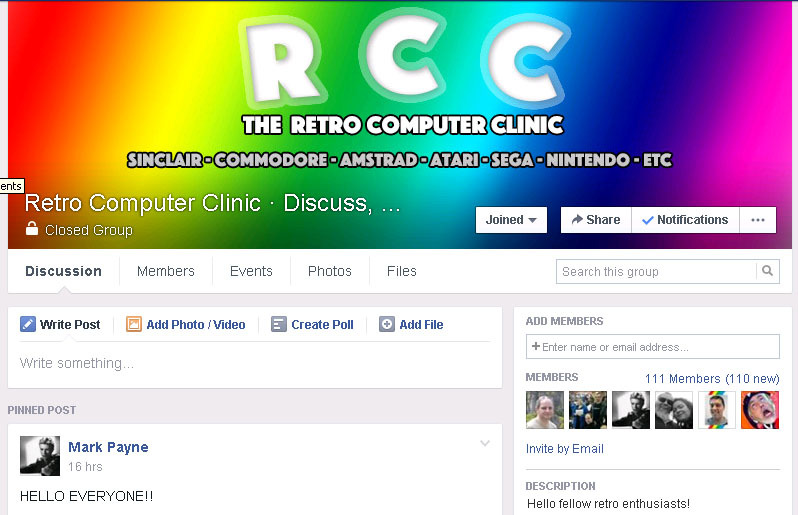 Retro-Active Reviews – we’re keen to review new hardware, software and books which are relevant to retro computing. 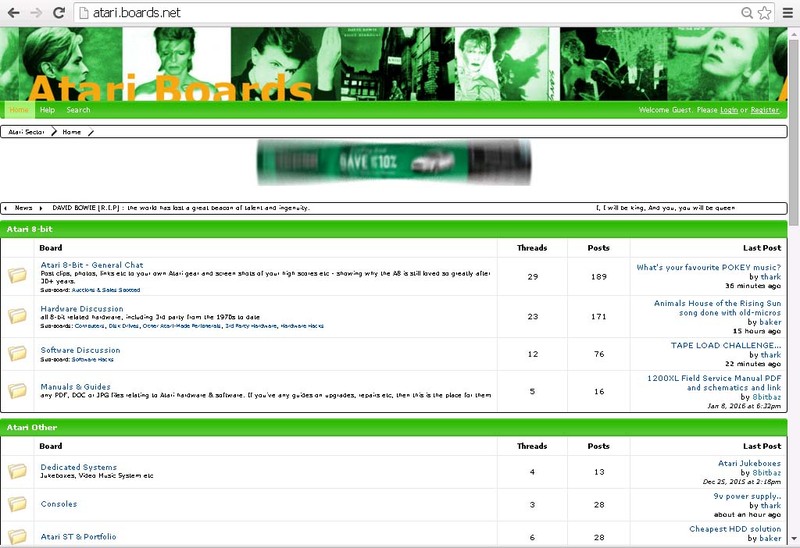 So if you’re a company, publisher, indie developer or author looking to get the word out, we may be able to help you! Random Access Memories – were going to be looking for individual people’s memories of their computing past from back in the day. END OF LINE – editorial pieces where we come across something interesting, evocative, memorable, exciting or controversial – or news about where we’re going with RCN. 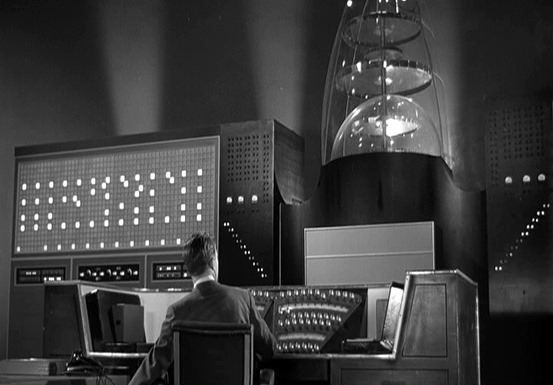 All of this is going to take time to kick in, so please be patient as we boot up 2016! Some of our readers will have been wondering why Retro Computing News has been so quiet over the past few months. Well, I want to apologise sincerely for this. The fact is, I have been ill. I won’t go too much into the details, but because of this illness, I have been extremely tired most of the time, sometimes falling asleep at my desk or in meetings, and once coming close to collapse. Advised to rest, I’ve had to put a hold on active working on RCN for most of the past few months, apart from occasional forays into social media via my smartphone. There is now a light at the end of the tunnel, however. I have recently been taking a course of injections to try and get me back into action, and these seem to be having some effect at long last, so I am hopeful, but I expect to be taking them indefinitely. In any case, although things are still a bit of a struggle for me, over the next few months I am going to try to get RCN and my blog Amiga Meditations rebooted and back in action, so I hope you will stick with me. You’ll start seeing changes and new posts this week. Thanks for your patience, and again, apologies.